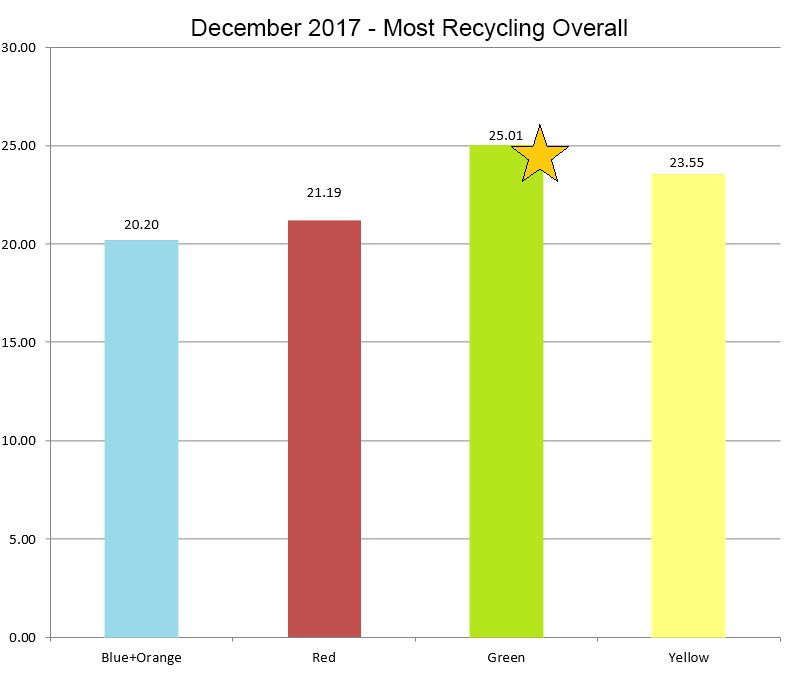 Recycling is important! 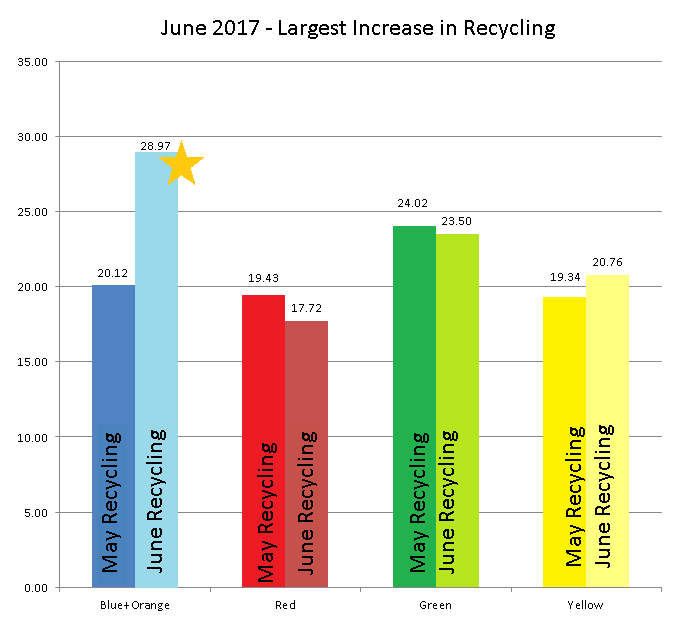 It is one of the best ways for you as an individual to have a positive impact on the environment. 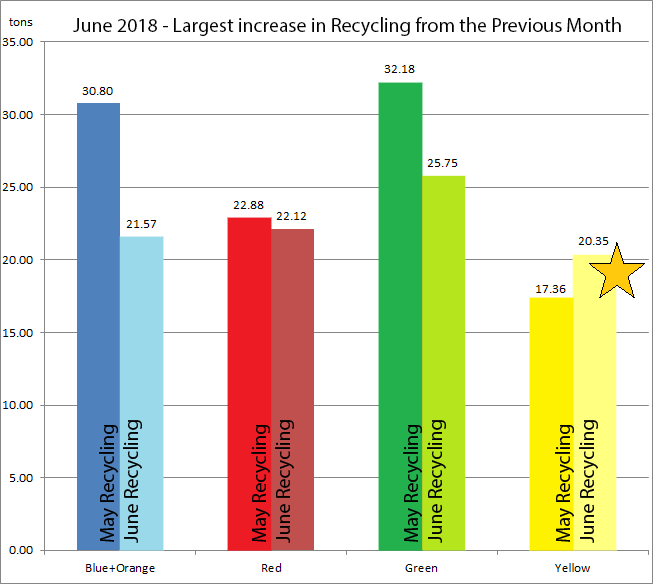 Recycling helps to reduce pollution caused by waste, slows habitat destruction, slows the filling of landfills, and helps by preserving natural materials for future generations. 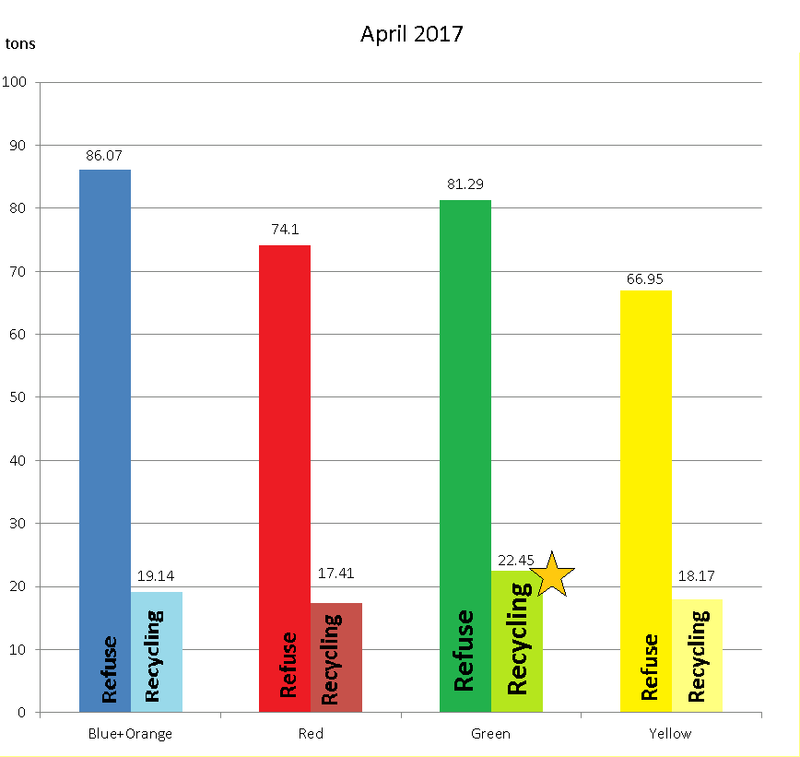 The neighborhoods are based on your refuse and recycling dates which are color coded on the map in the City's annual calendar. 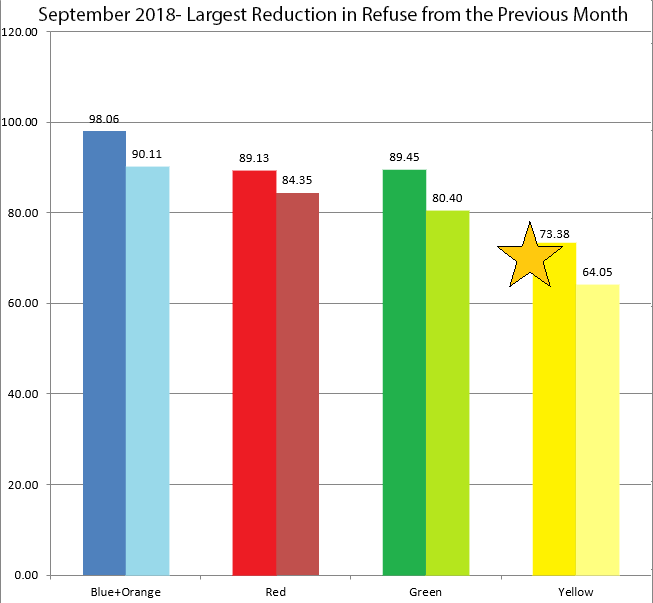 Click the map to the left to see a larger version. 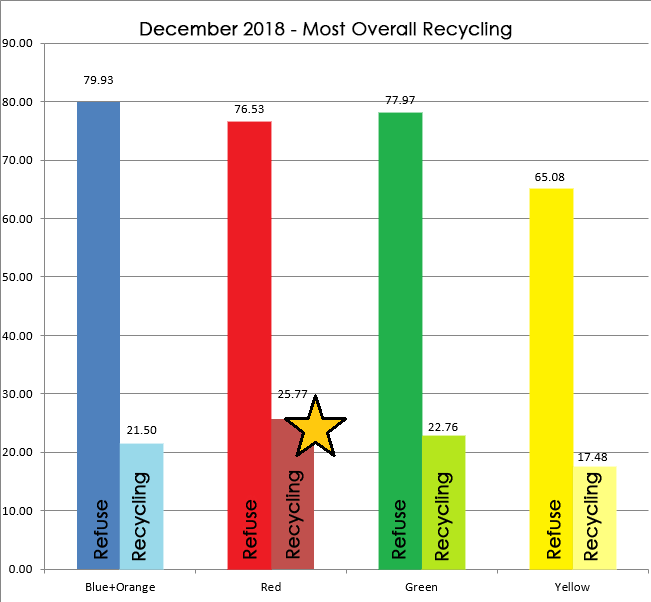 If you did not receive one in December 2017 just give us a call or an email and we'll be glad to get a calendar delivered to you! 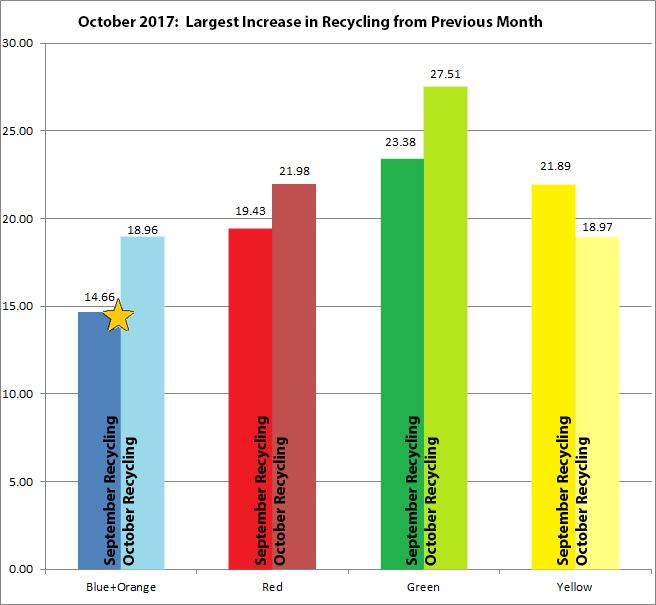 Orange Neighborhood - Wednesday Pickups. 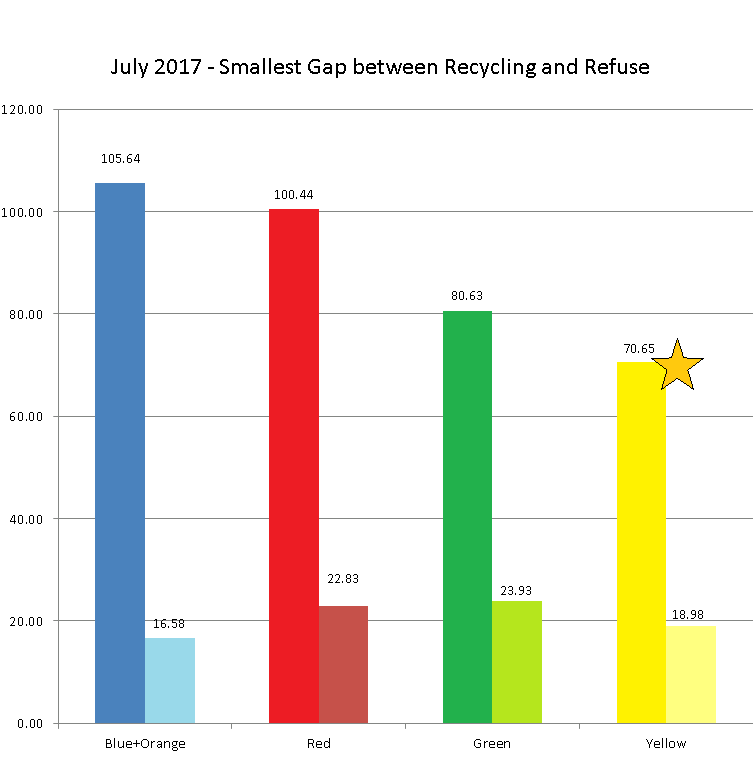 Because of our crews' schedules for trips to the dumps where refuse and recycling are weighed, Orange team is included with Blue team. 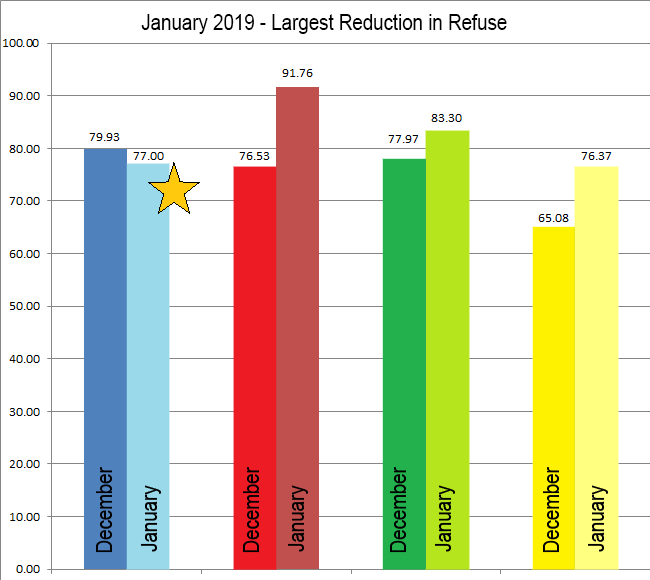 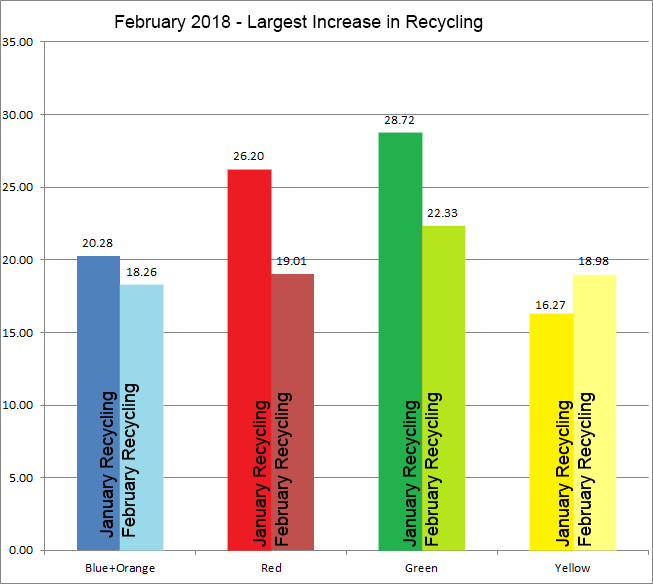 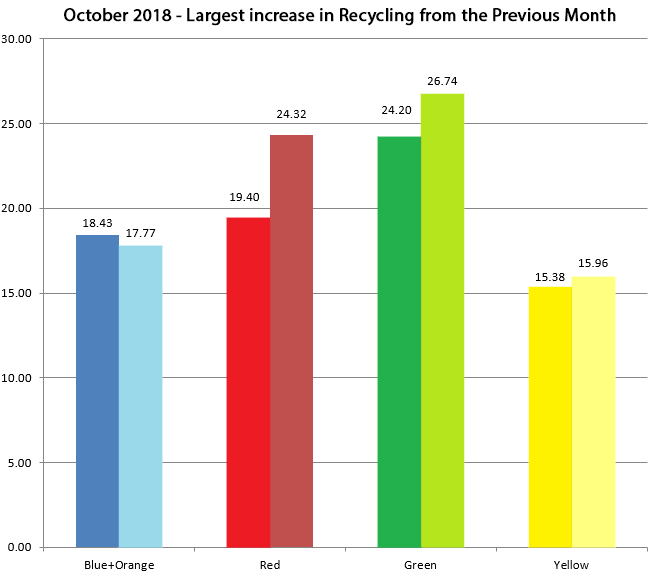 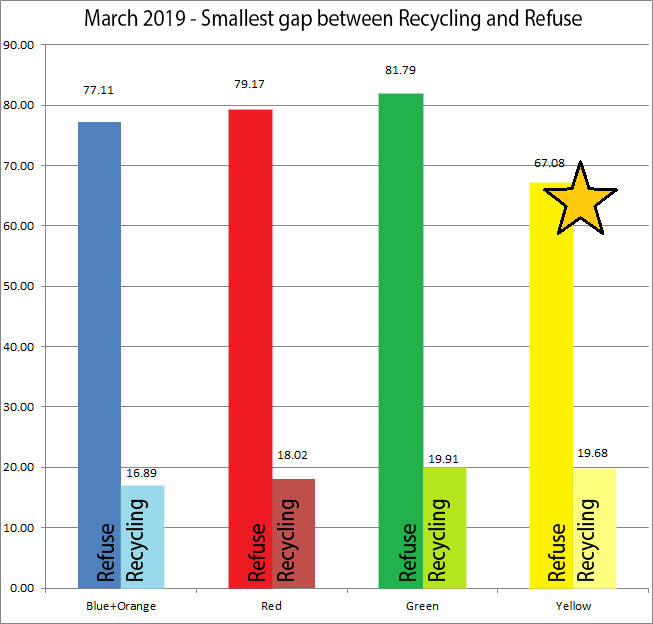 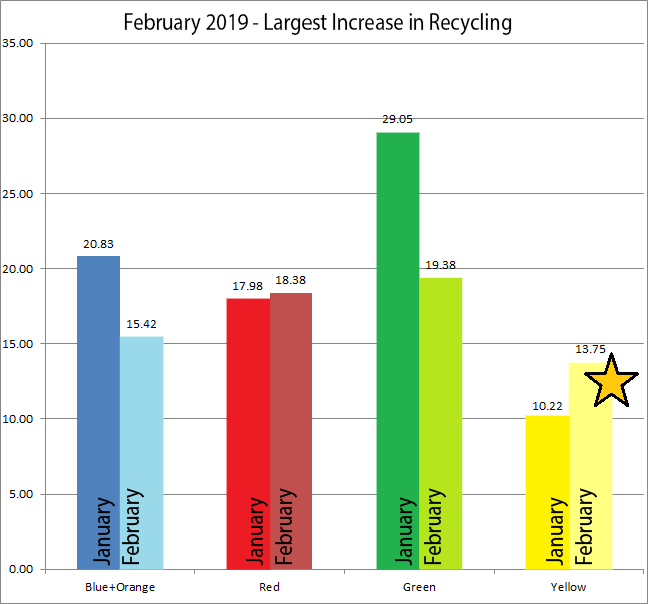 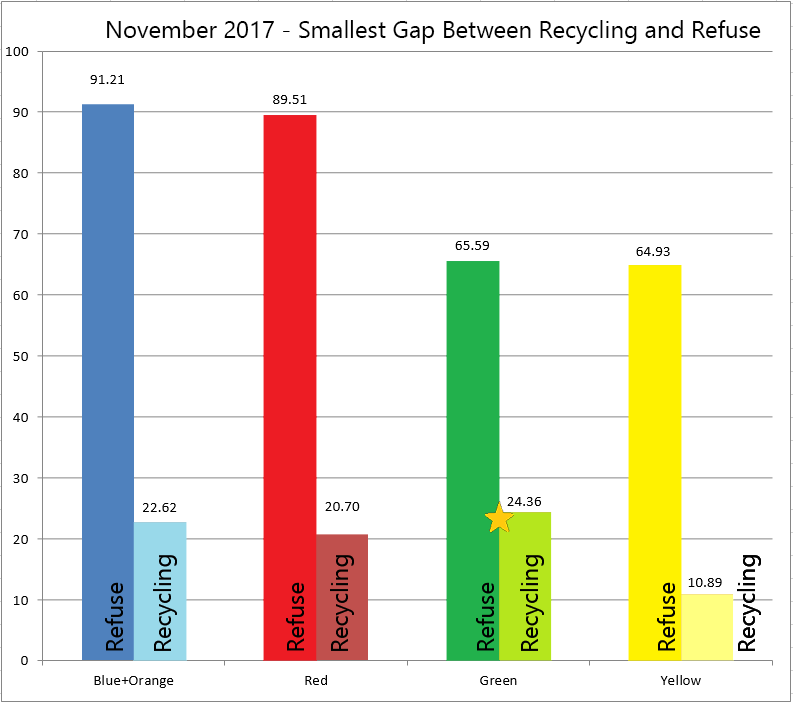 Current Winners - March 2019 - The largest increase in recycling from the previous month. 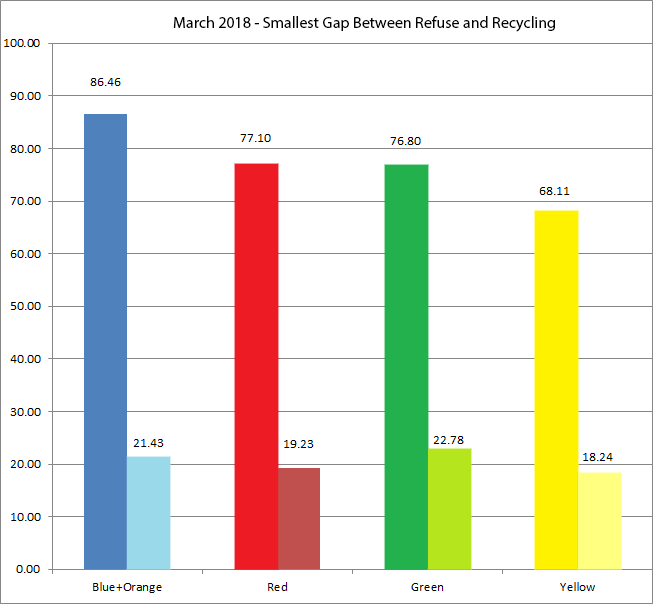 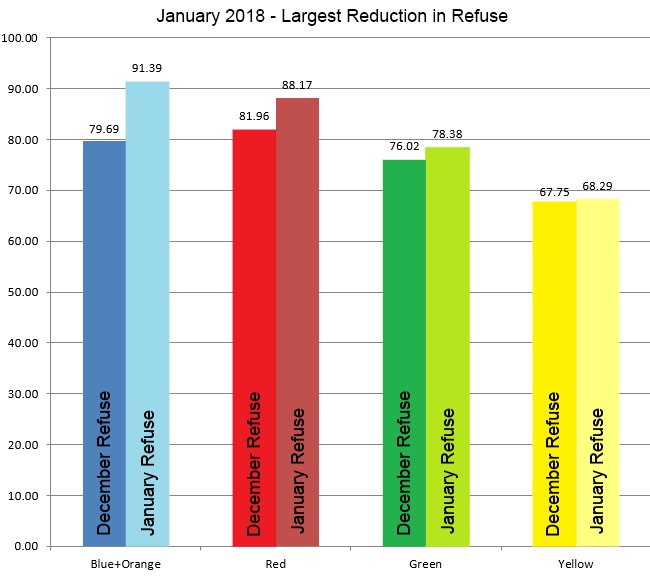 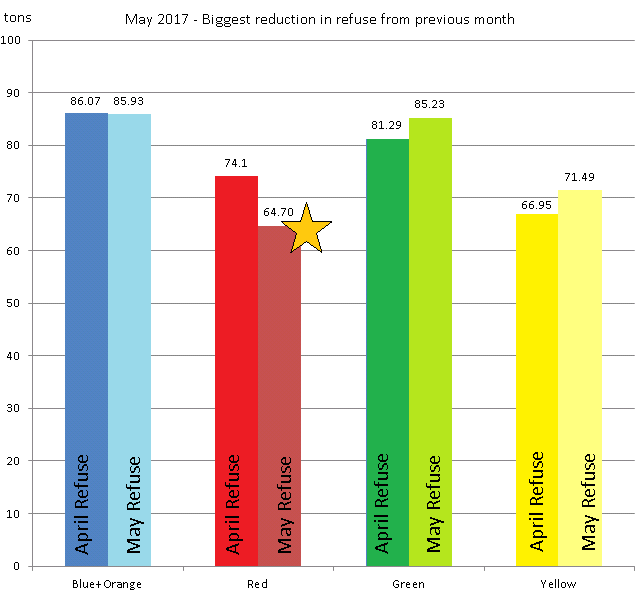 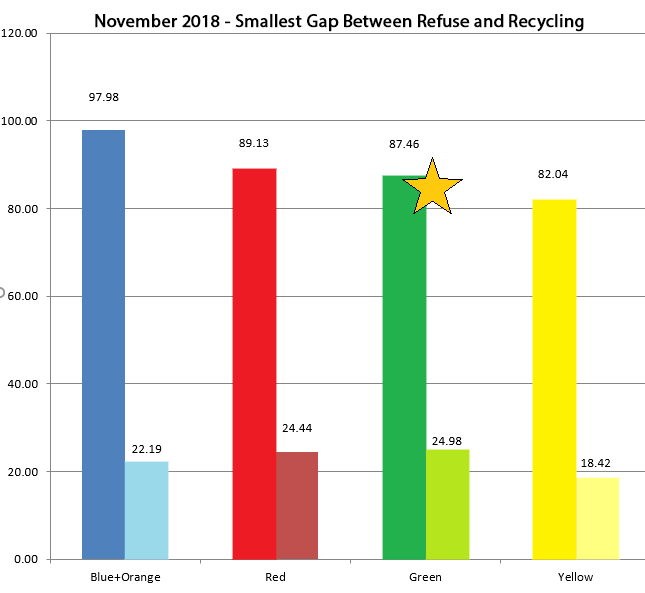 After reviewing the refuse and recycling numbers for the month, the Department of Public Works has declared the Yellow Neighborhood the winner for March 2019. 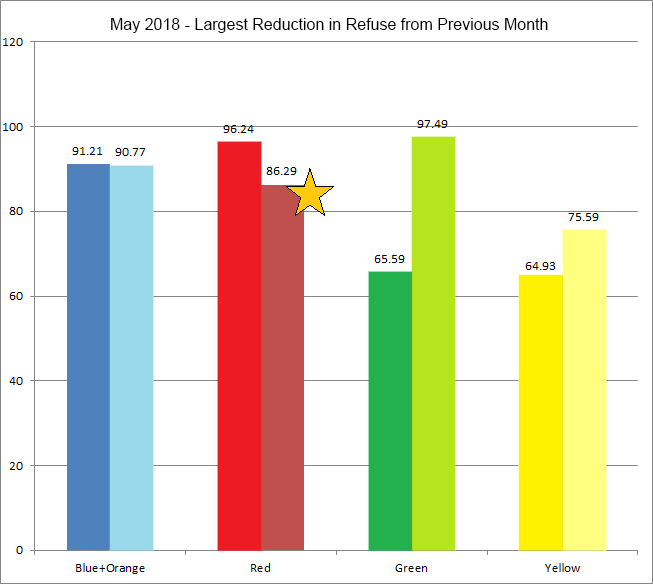 The first 10 residents from the winning neighborhood to mention this page when requesting a current bulk pickup will receive a $10 discount. 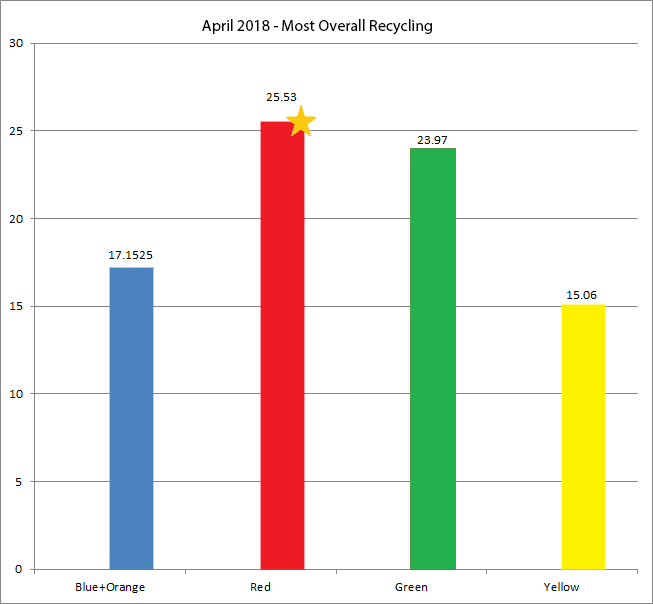 Winners have until May 13th to claim their prize! 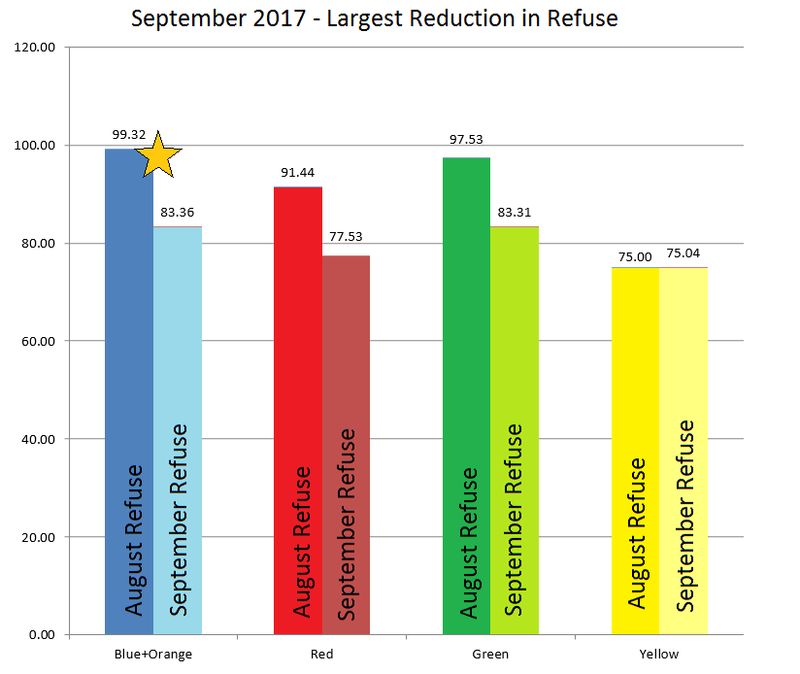 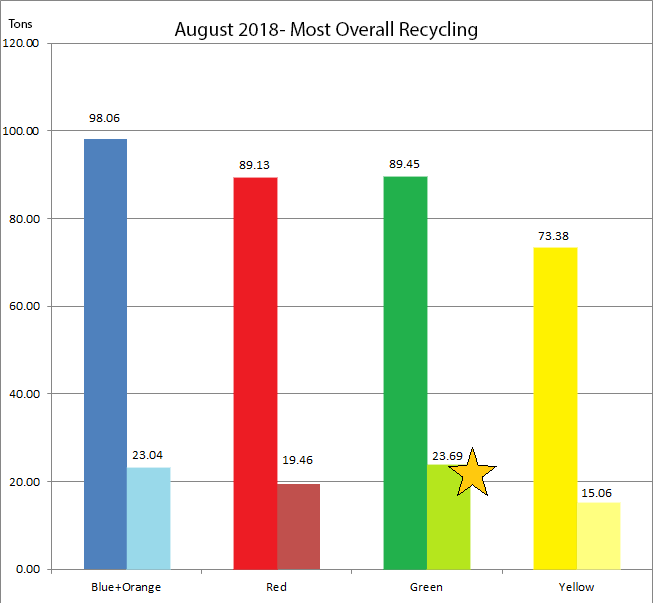 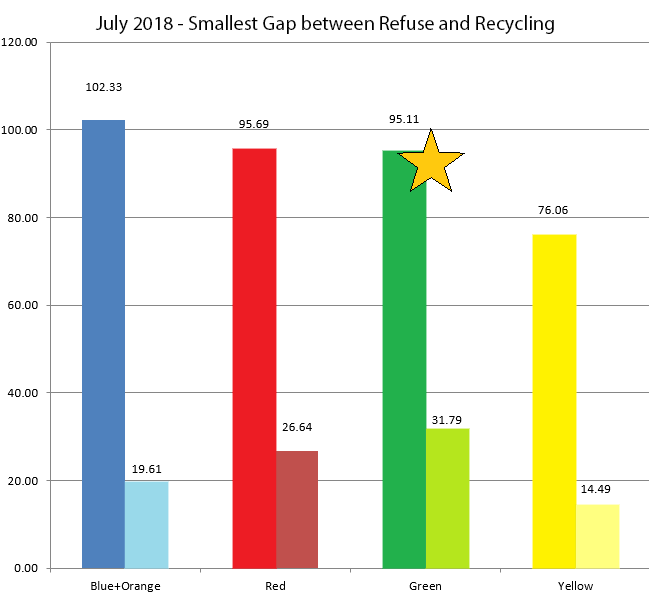 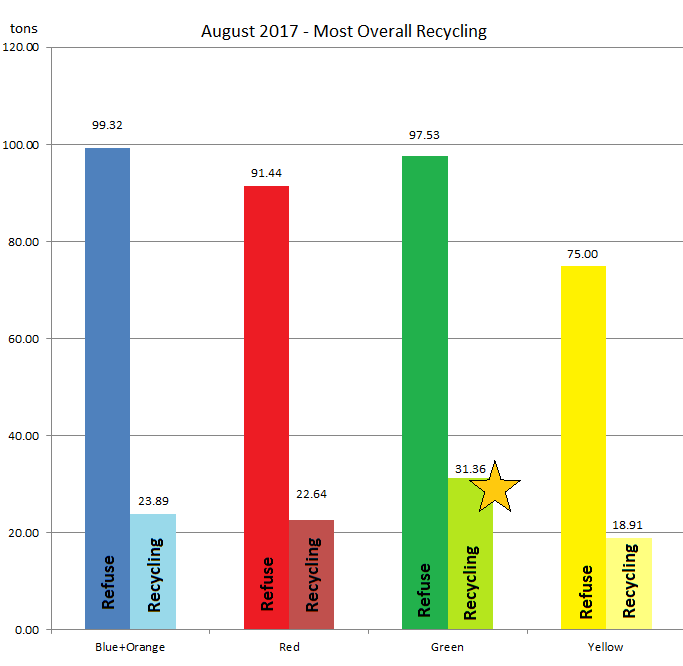 August 2017 - Most Recycling - Green Neighborhood.